This year Flock Theatre presents Pride and Prejudice, an adaptation of the Jane Austen novel in our Long Parlor. 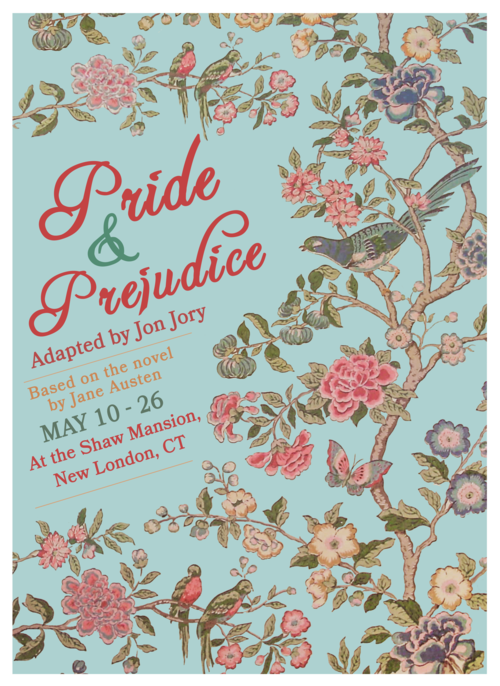 Pride and Prejudice, adapted by Jon Jory, is a play adaptation of Jane Austen’s Regency era-set romance novel. Pride and Prejudice explores the importance of marrying for love at a time when society is pressuring young women to find profitable suitors. The story follows Mr. Bennet and his five unmarried daughters, focusing specifically on Elizabeth as she and the wealthy Mr. Darcy navigate their attraction. Enjoy the play amid this historic setting. The play runs for three weeks May 11-26, Friday and Saturday evenings, with a Sunday Matinee. To purchase tickets, visit Flock Theatre.